The United Nations has come under severe criticism for choosing comic book character Wonder Woman as its new Honorary Ambassador for the Empowerment of Women and Girls. To be fair, choosing a scantily clad white woman with large breasts spilling out over her very tight, skimpy body suit (aka big knickers and a rib-crushing corset) was possibly not the organisation's best decision. Unsurprisingly, social media, many of the women employed by the UN, and women in general, went nuts. So far, more than 1,000 anonymous and "concerned" UN staff members have signed an online petition arguing that Wonder Woman was not an appropriate choice - scantily clad in a thigh-baring bodysuit with an American flag motif and knee-high boots. You can see their point. UN Under-Secretary-General for Communications and Public Information Cristina Gallach says that the campaign, supported by DC Entertainment and Warner Bros, "is an example of how we are working with diverse partners and making new alliances to reach out to audiences everywhere to know about and understand the goals, and, in this case, about gender equality,"
The UN has also stated that its focus was on Wonder Woman's feminist background, being the first female superhero in a world of male superheroes. Surely choosing a 'real' female representative who is able to talk about pressing feminist issues would have been a wiser choice? It's not as if we are short of strong female role models. Is a 75-year-old comic book hero really someone to look up to? How about Aung San Suu Kyi, the world's most famous living political activist? Or Nobel Prize winners Malala Yousifazi, an outspoken advocate of female rights and female education in the Middle East, or Tawakkol Karman who won the prize for her non-violent struggle for the safety of women and for women's rights to full participation in peacebuilding work in Yemen? According to Diane Nelson, President of DC Entertainment and of Warner Bros Consumer Products, cartoon characters can have an impression on our young women. She says, Wonder Woman has always been a trailblazer for women's rights and she can continue that legacy. "We believe that in addition to the exemplary work that amazing real women are doing in the fight for gender equality, it is to be commended that the UN understands that stories - even comic book stories and their characters - can inspire, teach and reveal injustices." Sorry, but wouldn't our daughters be more moved, impassioned and inspired by real life women who have actually achieved incredible feats? Women who are living and breathing women's rights issues every day. Anne Marie Goetz, a New York University professor of global affairs and former adviser on peace and security issues for UN Women, called the Wonder Woman decision "disgusting". Why Wonder Woman and why now? The comic book superhero has sprung back into cultural relevance with the upcoming release of a new Wonder Woman film starring Israeli actress Gal Gadot. The UN were focussing on Wonder Woman's feminist background and the fact that she was the first female superhero in a world of male superheroes. Unfortunately for them, the world has moved on since Wonder Woman was created 75 years ago. The choice seems out of date and outmoded. The UN is already under scrutiny for not being progressive enough in its appointments. Its lack of high-level female appointments was exposed when a 2015 analysis of the UN's senior hires found that nine out of 10 went to men. The organisation was under pressure this year to choose a female candidate for Secretary-General but instead, they appointed yet another man, having apparently rejected seven female candidates in the process. Prospective female candidates included the former prime minister of New Zealand, the director general of cultural agency Unesco, the Moldovan deputy prime minister and a senior EU official. So in a year when everyone thought it was going to be a woman's turn, they opted for Antonio Guterres of Argentina. 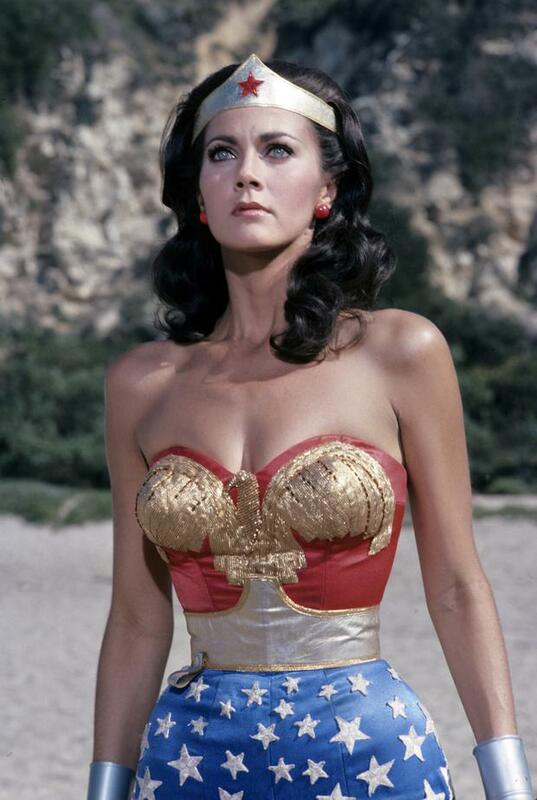 As for the Wonder Woman choice, I believe men were always more attracted to Wonder Woman and her skimpy outfits than women. I don't ever remember thinking I wanted to be her. I spent most of the time marvelling at how she could run, talk and, frankly, breathe in that tiny corset. Let's leave Wonder Woman to be the form of light entertainment she was created to be. It's not rocket science, serious issues need serious role models.